Boudhanath is a Buddhist Stupa, which is one of the largest in the world. It is part of the UNESCO World Heritage Site. In the history it is said that Boudhanath was founded by the Nepalese Licchavi King Sivadeva. Tibetan sources state that a mound was excavated on the site and the bones of King Amshuvarma were discovered. Nonetheless, the Tibetan emperor Trisong Detsan is also associated with its construction. 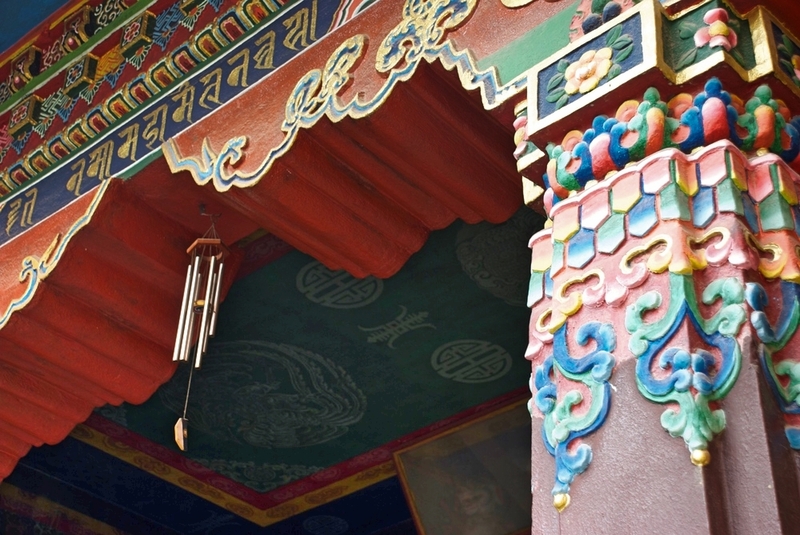 There are different myths on how Boudhanath was created. Those myths come from various branches of Buddhism. According to the Padmasambhav Buddhism the legend of its buildings is the following: Jajima was born within an ordinary family of the earth. She had four husbands a gave birth to four sons from each of them. All of them being religious, they decided to build the largest Chhorten (Stupa). Majyamija gave the land needed for the stupa and the construction started. All materials were carried on elephant, horses, donkey, etc. Majyamija died four years later and the sons terminated the Stupa. It took them almost seven years to complete the whole Stupa. Later, the four sons prayed to respectively become in their next life, a King, a Scholar, a Guru, and a Minister, the first two to disseminate the religion and the two latter to protect it from demonic attacks. All of them got their prayers fulfilled. Nonetheless, none of them had prayed for the animals that helped build the Stupa. Thus, the Elephant and the Donkey, prayed to become demon in the next life who would destroy the religion. Hearing about those prayers the Crow, the cowherds and shepherds prayed as well to become in their next life the assassins of the demons and allow religion to prosper. All prayers were fulfilled and each person became what they asked for in their next life. All became renowned character of local mythology who created history around Tibet and the Boudhanath Stupa. 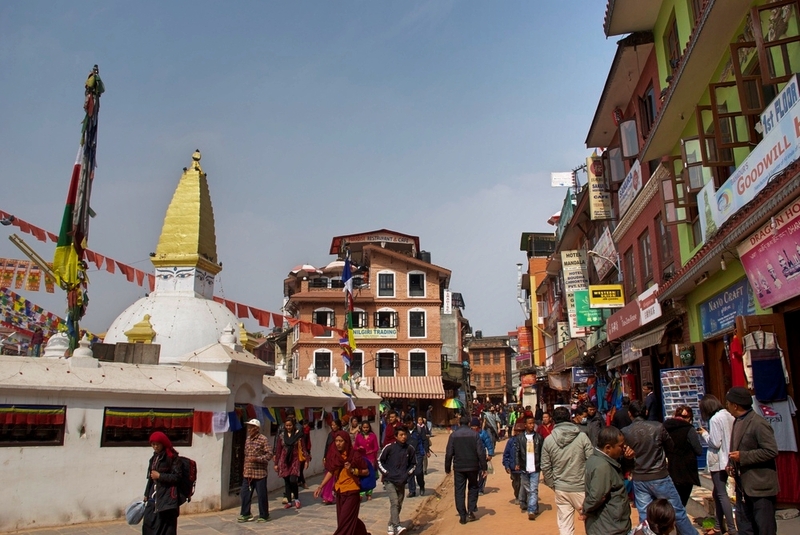 The entrance price for the Boudhanath Stupa is 250NPR. Please remember that when walking around the Stupa you have to go clockwise. This will show you respect the Buddhist traditions. The place is peaceful, and thanks to its layout, very spacious. The space allows the crowd to scatter and therefore a walk around the Stupa is likeable. 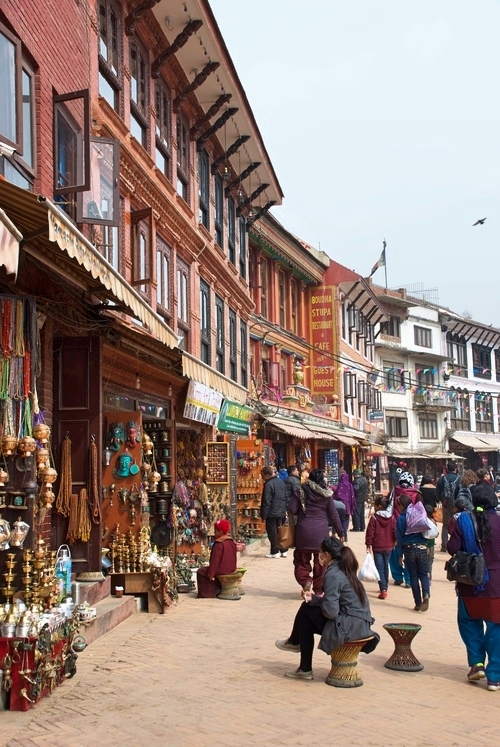 There are plenty of small shops all around the Stupa for you to buy souvenirs, jewellery, or paintings. From our guesthouse, we recommend to get a taxi. You can bargain your ride for ~250NPR to go and ~300NPR to come back. Many people recommend seeing Boudhanath at night because of the nice lightening and the peaceful atmosphere. If you do so, remember the prices for taxi will slightly increase of about ~50NPR for each ride.